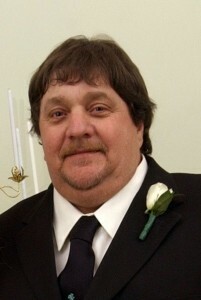 Michael Lee Carter, 60, of South Shore, passed away Thursday, November 29, 2018, at Southern Ohio Medical Center in Portsmouth, Ohio. Mike was born February 9, 1958, in Portsmouth, Ohio, a son of Darlene “Red” Burgess Carter of South Shore and the late Thomas Wesley Carter. He was a former employee of New Boston Coke Corporation. He was a member of the Harrison-Fullerton Lodge #937 in South Shore where he was a Master Mason, 32nd Degree Mason, and a 30-year member. Mike loved softball, hunting, fishing, trading and dealing, horses, and dogs. He loved being “out on the hill” and listening to bluegrass music. He was of the Christian faith. In addition to his mother, he is survived by his loving wife Theresa “Teri” Cook Carter; two sons Steven Michael (Heather) Carter and Cody Lee (Ally) Carter; a daughter Jennifer Carter (Josh) Hill; one brother Wes (Lou) Carter; grandchildren Zane, Zander, Dawson, Grace, Izzy, and Hunter; two nephews Daniel Carter and Eric (Caitlin) Carte; a great-niece and great-nephew, Ava and Jaxon. A memorial service will be at 7:00 p.m. Wednesday, December 5, 2018, at Crockett L. Reed Funeral Home in South Shore with Rev. Tim Underwood officiating. Visitation will be from 5:00 p.m. until 7:00 p.m. Wednesday at the funeral home. In lieu of flowers, contributions are suggested to the funeral home to help with funeral expenses.